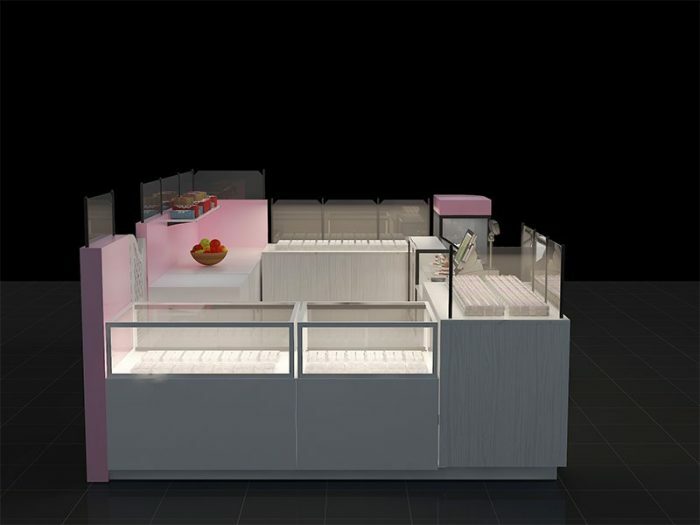 Pink lovely ice cream kiosk, beautiful ice cream kiosk, attractive ice cream kiosk. Many people all like eating ice cream, especially children, ice cream very popular among children.we all know, every child is treasure in their parents’ eyes.they try their best to satisfy their children, so the ice cream business is very popular, if you are in the ice cream business,whether you need an ice cream kiosk to make your business better.if you want, I have some nice ice cream kiosks to introduce you, today I will show you the most beautiful ice cream kiosk. Now let us see its beautiful images. 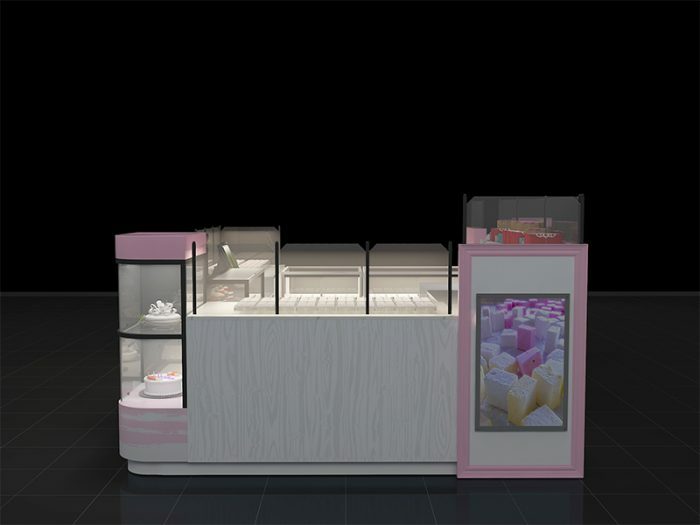 we can see, the ice cream kiosk very beautiful, color is suave white match lovely pink, its design very fashionable and western style,to be honest, I like it very much, I believe it will be attractive more customers. 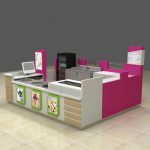 Besides,it has glossy interior and veneer, exquisite workmanship, suave tone, perfect specification,beautiful logo, unique layout, durable material,it not only an ice cream kiosk, but also is a piece of art. Then please allow me to show its basic information. About our ice cream kiosk. 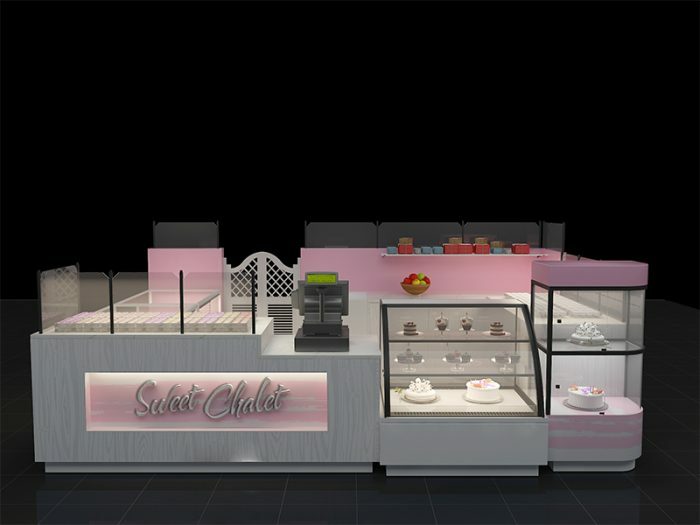 One, you needn’t worry our products’ quality,we will build our ice cream kiosk with durable material, and you can tell us your ideas about ice cream kiosk, we will according to your need to build the kiosk. Two, if you want to know your update of your kiosk, we can take photos to you, and if you have any question, we can solve it as soon as quickly, we will give you our best service, and give you our hearts. 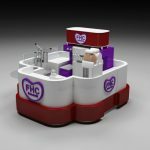 Three, if you want to get our ice cream kiosk, you should contact us first, we will according to your ideas to design it again, then if you have no question, we will begin to make it. when we finished, we will send it to your shop. Four, we have good after-sale, if you have any question about our kiosk, we will try our best to solve your question, and we also have good feed back, please trust us, we will give you our the best product and service. Five, about Assemble, this kiosk is very easy and fast . It can be assembled quickly even without any experience . before we production this kiosk . make construction plan . you can see this kiosk will be cut to some reasonable part . put an ordinal on it , like 1, 2 , 3 , 4 …. when you received the kiosk . you just need put each part together and connect the wire is ok .
At last, thanks for your reading,and welcome your inquiry, at the same time, if you want to know more information, please contact us, I am looking forward to your inquiry.have a good time.